It’s an attention grabber and a conversation starter. 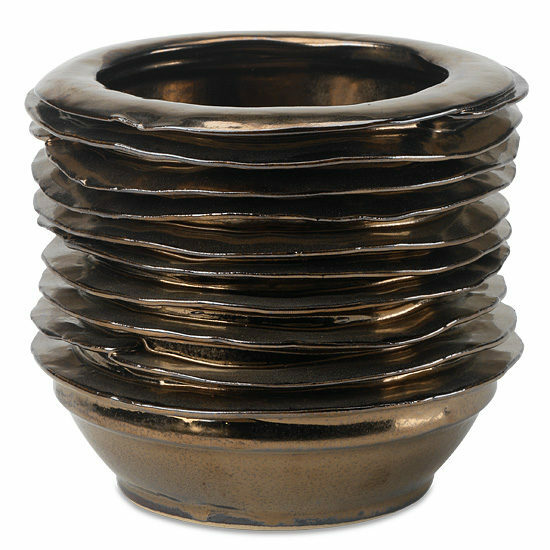 Our uniquely modern ceramic vase is glazed a metallic bronze vase. The vessel’s deeply ridged sides resemble river rocks tiered underneath a trickling waterfall. The modern vase will beautify a bedside table, kitchen nook, or other small space perfectly.